Poverty and migration in the digital age: Experimental evidence on mobile banking in Bangladesh (with Jean Lee, Saravana Ravindran, Abu Shonchoy, and Hassan Zaman). As migration pulls families part, digital money can bring them closer together – with benefits and costs. An RCT in paired samples. Paying in Pieces: A natural experiment on consumer demand under different payment schemes (with Jonathan Bauchet). Demand increases sharply when customers can pay in installments rather than in a standard single, upfront payment. A natural experiment using data from Mexico’s largest microlender. Forthcoming, Journal of Development Economics. Social Investment Through the Lens of Microfinance (with Timothy Ogden). Microfinance as a lab for understanding social business and social investment. Microfinance and Economic Development (with Robert Cull). Reflections on impacts and the state of play. (Also: Microfinance as a Credit Card?). In progress: The Disruptive Power of RCTs. A view from the seminar room. Today’s criticisms of RCTs too often lose sight of the struggles in the earlier micro-econometric literature. The focus is usually on selection biases, but a larger problem can be the simple lack of variation in key parameters, often making rigorous empirical inquiry of any sort impossible. By creating variation, RCTs open the possibility of a new set of inquiries into contracts, prices, and behaviors. Debates around whether RCTs are the “gold standard” or not are less interesting here. Often RCTs are the only real option. In progress: Wealth inequality, income volatility, and race in the US (with Darrick Hamilton, Bradley Hardy, and Sandy Darity). 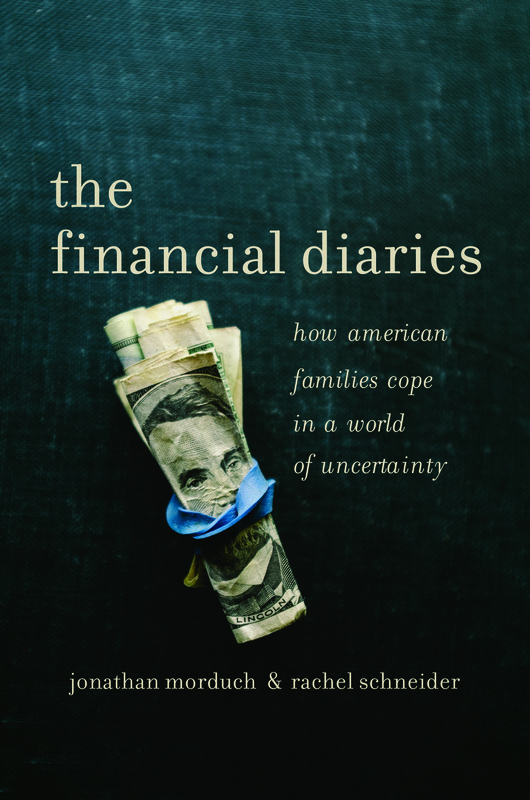 The paperback edition of The Financial Diaries was released in November 2018. The book draws on 5 years of fieldwork and analysis led with Rachel Schneider and carried out with Tim Ogden and a great research team. The book gives a new view of economic insecurity and poverty in America, drawing on the stories of families across the country and detailed evidence on their financial lives. The University of Manchester’s Diane Coyle named it one of the best economics books of 2017, and the book received a 2018 Axiom Best Business Book Silver Award. Fall 2018 book-related talks: October: Renmin University, Beijing, and Nankai University, Tianjin. November: SEC Behavioral Sciences Conference, Sao Paulo, Brazil. Spring 2019: Harvard Symposium on Housing Tenure and Financial Security. The 2nd edition of Economics, an intro textbook (micro + macro) written with Dean Karlan, came out in February 2017. The book starts with real-world problems and shows how economists think about them (and can help to solve them). 2016-17 was spent on sabbatical at the Institute for Advanced Study in Princeton, New Jersey. Parts of May and June 2018 were spent visiting IRISSO-Université Paris-Dauphine. Dean Karlan and Jonathan Morduch. 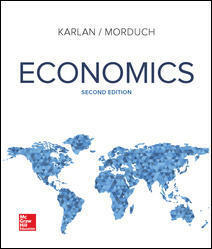 Economics, 2nd edition . McGraw-Hill/Irwin, February 2017. Jonathan Morduch. 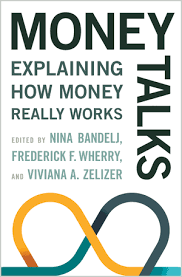 “Economics and the Social Meaning of Money,” chapter 1 in Nina Bandelj, Frederick F. Wherry and Viviana Zelizer, eds., Money Talks: Explaining How Money Really Works. Princeton, NJ: Princeton University Press. 2017. Jonathan Morduch and Julie Siwicki. 2017. “In and Out of Poverty: Poverty spells and income volatility in the U.S. Financial Diaries.” Social Service Review 91 (3): September 2017: 390-421. Robert Cull, Jonathan Morduch, and Asli Demirgüç-Kunt. “The Microfinance Business Model: Enduring Subsidy and Modest Profit.” World Bank Policy Research Working Paper WPS7786, July 2016. Blog post. Forthcoming, World Bank Economic Review. Jonathan Bauchet, Jonathan Morduch, and Shamika Ravi. “Failure vs Displacement: Why an innovative anti-poverty program showed no net impact in South India.” Journal of Development Economics 116, September 2015: 1-16.